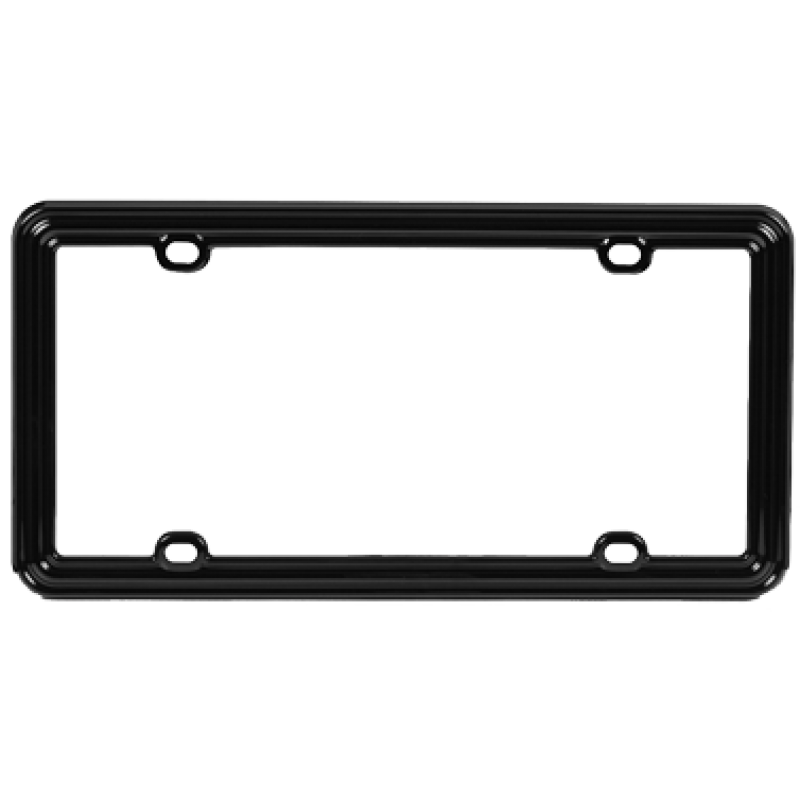 Our Black Plastic Designer License Plate Frame fits 6 by 12 inch standard auto license plates. There are Four mounting holes on the frame. Our Black Plastic Designer License Plate Frame fits 6 by 12 inch standard auto license plates. Four mounting holes on the frame.